Jetsam – Walk To Beach ! This substantially sized home offers much more than just ‘weekender’ appeal. Complete with 3 bedrooms, 2 bathrooms, featuring an upstairs living area which opens onto a broad beachfront verandah. One of the few properties with an ocean view, it occupies a rare coastal strip of land between the ocean and the river in the heart of the village of New Brighton. Just a 90 minute drive from the bustle of Brisbane, and 15 minutes to the buzz of Byron Bay. 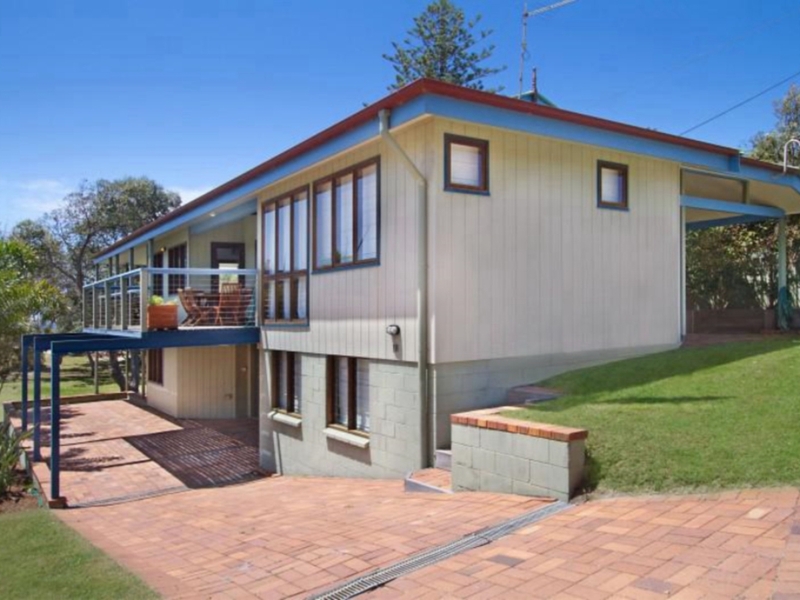 Spread over two levels with polished timber floors upstairs, fireplace, fans, covered outdoor entertaining areas, kitchen with granite bench and walk-in-pantry, laundry and double auto garage. After catching a wave or a nice long beach walk there is also an outdoor shower to rinse off the sand between your toes.